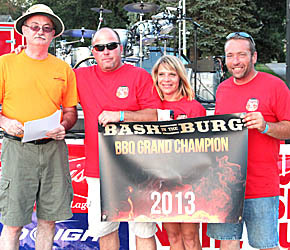 Jake’s Smoke Shack of Columbus earned “grand champion” honors in the barbecue contest at Bash in the Burg last Saturday, Aug. 10. Winners were named in a variety of other cooking categories, and for beer, wine, liquor “concoctions” and homemade bread. Details in the Aug. 14 Petersburg Press Print & E-Editions.